Thursday, March 7, 2019 11 a.m.
Thursday, March 7, 2019 1:30 p.m. Inspired by the paintings of Paul Klee, actress and visual artist Sylvie Gosselin tells a story about the power of the imagination. 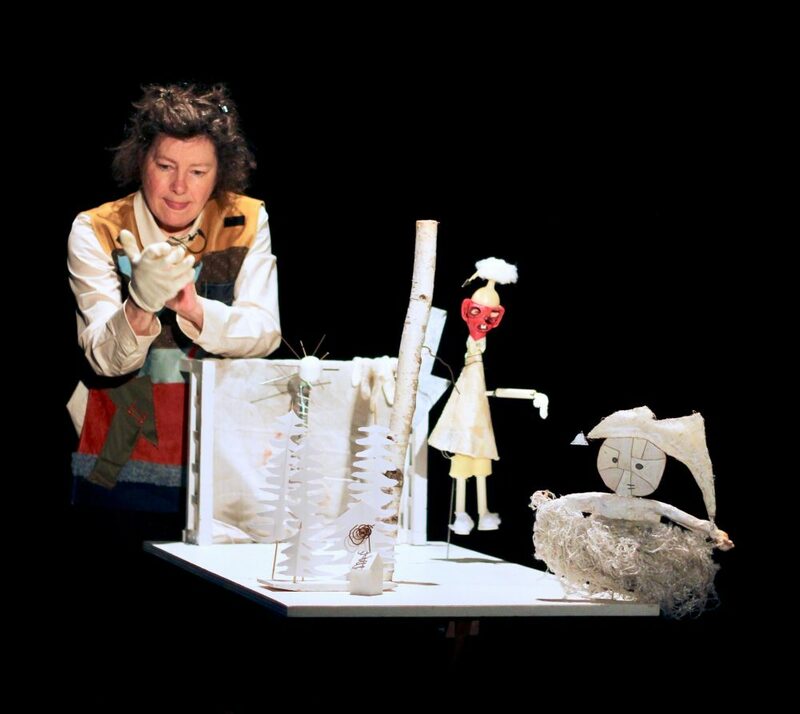 She invites children 4 to 104 on a playful and poetic walk through her installations and her puppet-object creations, inspiring her guests to spread their wings in a world full of mystery and wonder. A universe where the moon falls into the water, a dog speaks Accordion and a boy whose hands are frozen to a cloud leaves a white dream and discovers the world of colour. 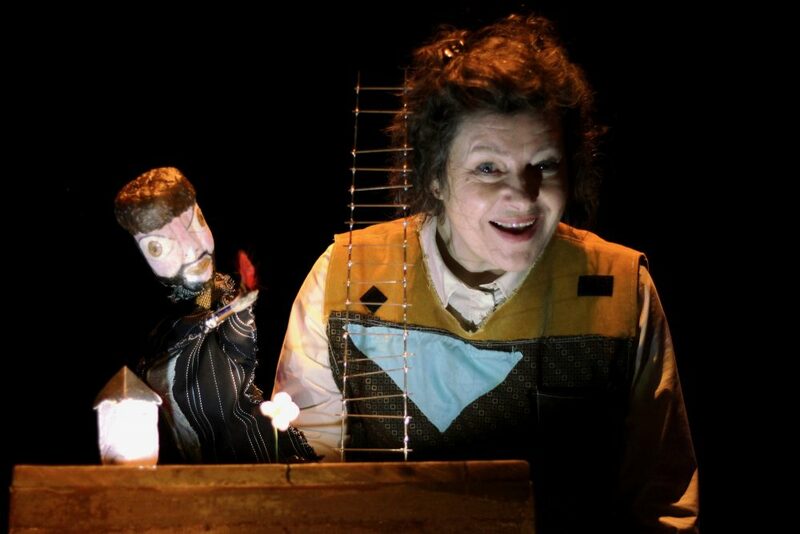 Sounds, nursery rhymes, objects and intriguing characters are used to help the audience learn how to see the invisible. An immersive experience that will give you wings! Sylvie Gosselin is passionate about theatre and visual arts and has been creating shows with and for children for over 20 years. 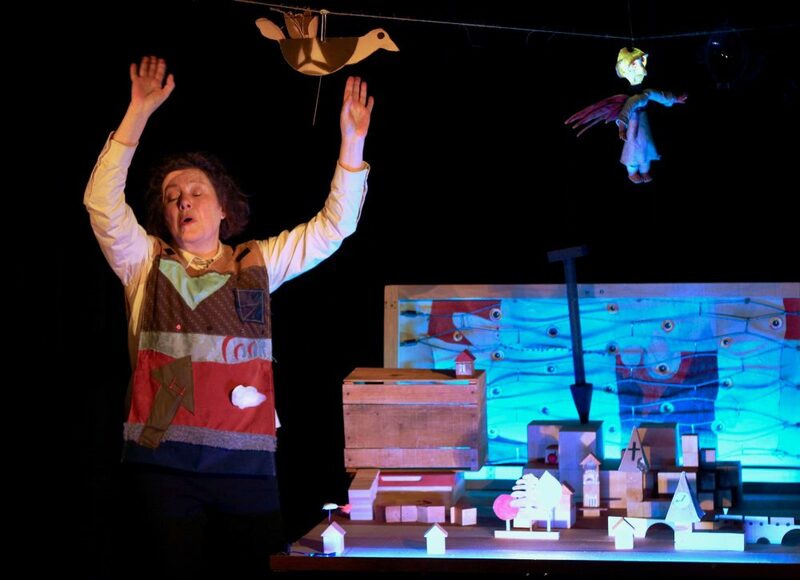 Following La couturière and Contes Arbour, two Théâtre Bouches Décousues productions, she created and produced Histoires d’ailes et d’échelles, performed in May 2018 at the Festival Petits bonheurs in Longueuil and in Montréal.